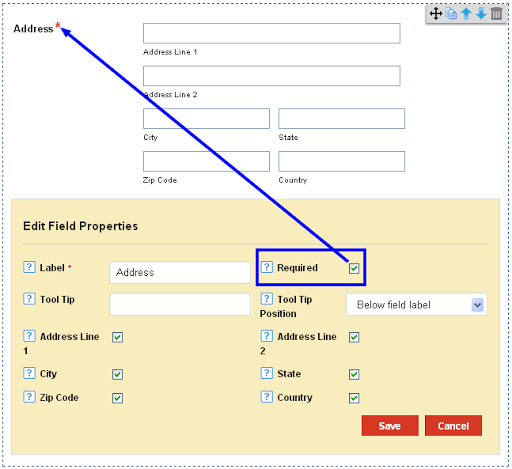 The Address field is an entry field to allow users enter valid residential information for further contact details. 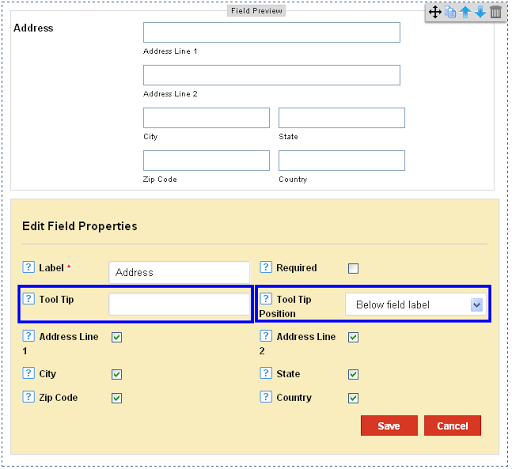 2) Click on Address Field in the Add Fields Section. 3) The Label appears as ‘Address’ by default. Change it according to your preference. 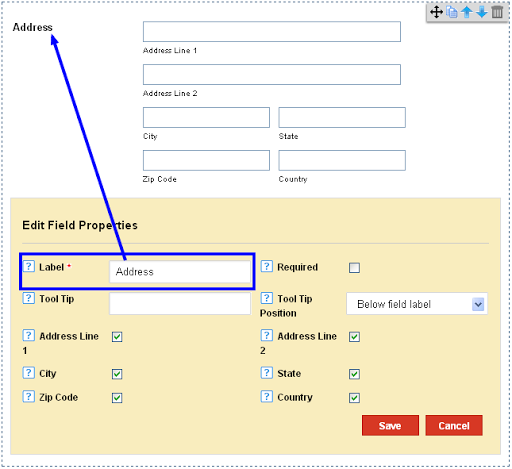 4) The Required option would make it a mandatory entry field for users. 5) You can alter the Tool Tip position to On Focus, or below Field Label to suit your convenience. 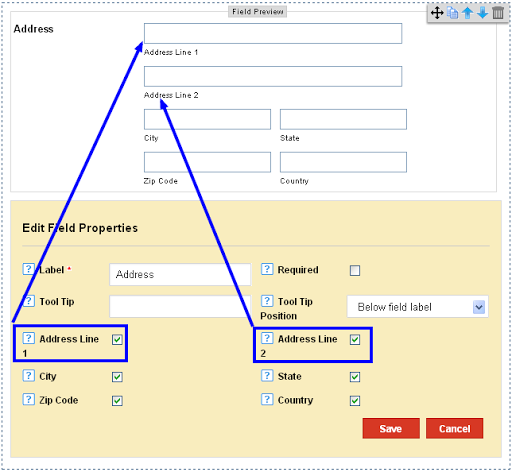 6) Clicking on the Address Line 1 and Address Line 2 options enables 1 or 2 additional fields for the user to add their address. Choose according to your requirement. 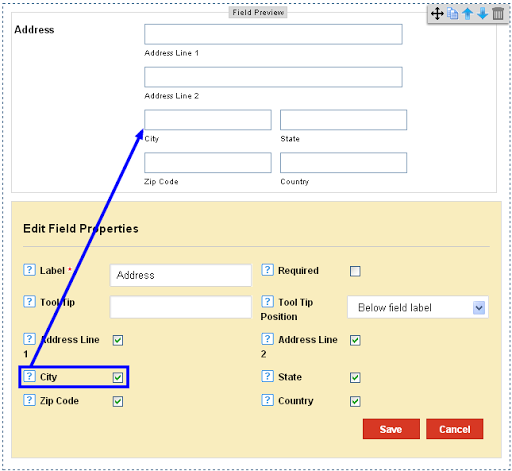 7) Check the City option to enable the City field for the user. 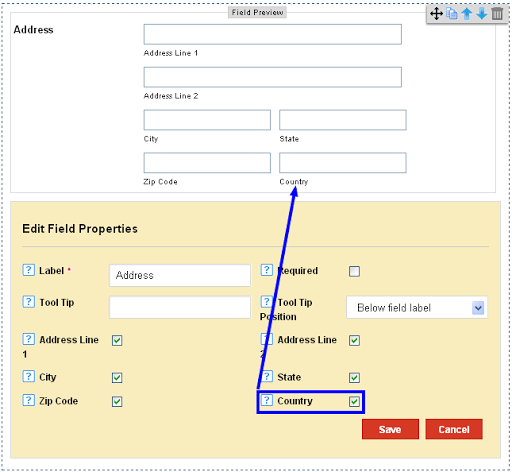 8) Check the State option to enable the State field for the user. 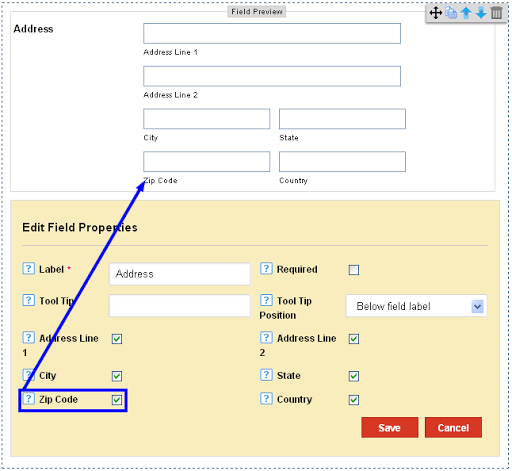 9) Check the Zip Code option to enable the Zip Code Field for the user. 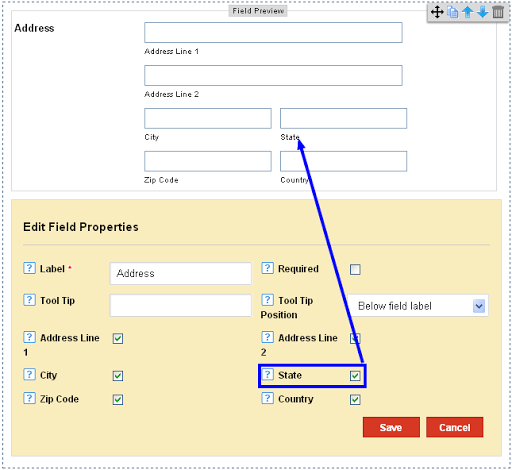 10) Check the Country option to enable a Country Field for the user.